Review: MUA Undress Your Skin Highlighting Powder in "Iridescent Gold"
Hope u all are doing great and enjoying the pleasant change in the weather. Well am obsessed with highlighters currently and bought 2 new highlighters recently. One of them is the new MUA undress your skin highlighter in shade "Iridescent Gold". Since the day I saw it online, this highlighter grabbed my attention. The previous original MUA pearly pink undress your skin highlighter was really impressive and it performed so well for me. That's why I was so tempted to try this new gorgeous gold shade. So after trying it regularly for a few days, let's see what I have to say about this highlighter. 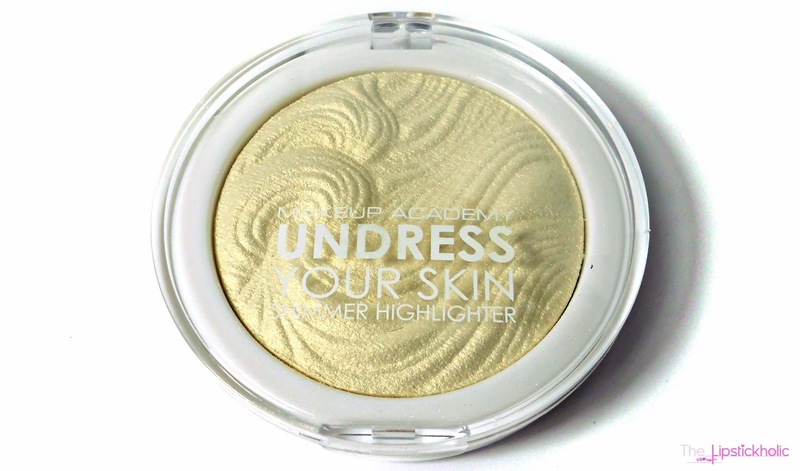 MUA Undress Your Skin Highlighting Powder in "Iridescent Gold"
This new undress your skin highlighter has the same lovely wavy pattern like the previous (original) highlighter. The packaging is not so sturdy but the plastic pan is big enough and has enough quantity of highlighter inside. Ahhhh....the highlighter looks so gorgeous inside the pan. I can't take my eyes off it. The texture may seem a bit powdery in the pan, but when applied on skin it looks and feels so silky smooth. It applies and blends very easily. Even without any foundation or primer, it applies and blends easily. However, the soft blend-able texture leads to some fall out in the pan. I have dry/combo skin and luckily this highlighter doesn't enhance any dryness on my skin. I love how it adds a nice subtle shin to the skin without making your face look like a disco ball. This highlighter is very pigmented. A little amount of this highlighter is enough to provide a nice subtle glow to your face. Staying power of this highlighter is pretty great too. It lasted on me for about more than 5 hours which is quite reasonable. 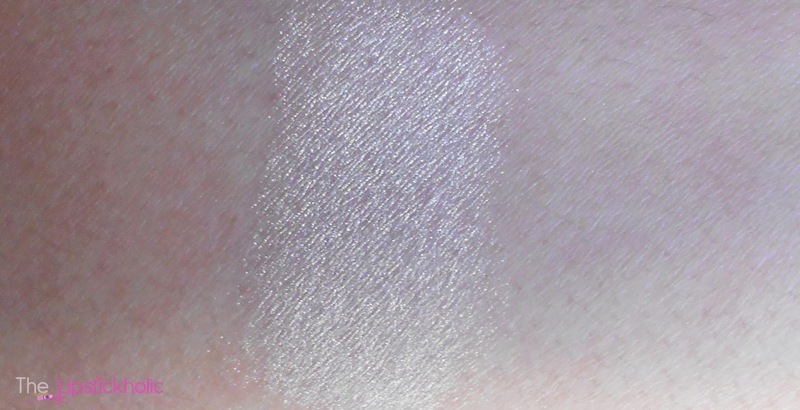 As you can see this highlighter has a very light gold or Ivory kind of color with silver undertones which are more visible in natural day light. It is somehow looking more silverish in the swatches but actually this highlighter appears much pale-gold when applied on face. The texture of the highlighter might not be looking very smooth in the swatches too. But once applied, it looks so subtle and smooth. 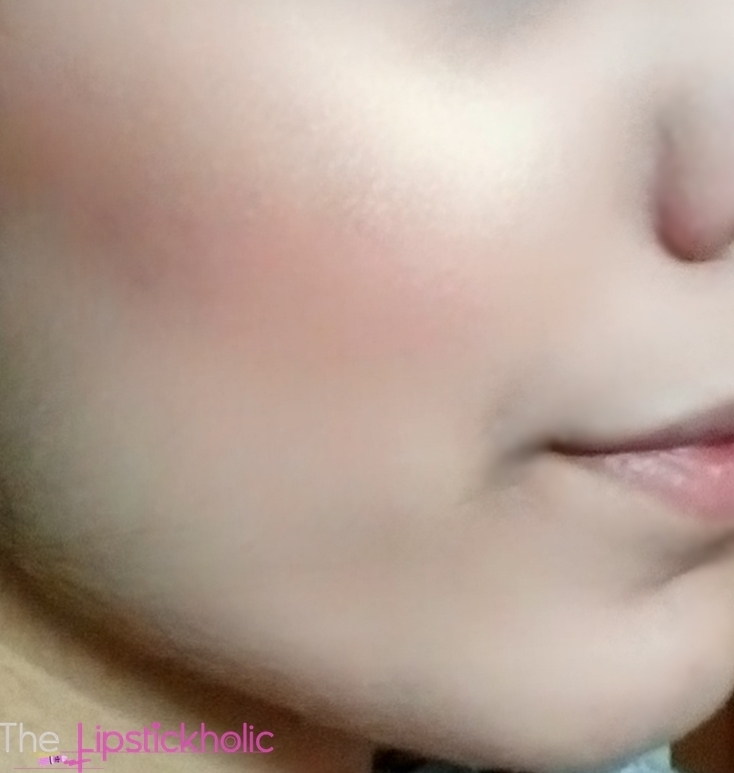 Here is a glimpse of how the highlighter looks when applied on my skin. This highlighter is considered to be a dupe for the famous NARS Albatross highlighter. I don't own the NARS one. But just for the sake of comparison, am going to compare this with The Balm Mary-Lou Manizer, my ultimate favorite highlighter. As you can see, Mary-lou is a much different and a much deeper champagne colored highlighter. 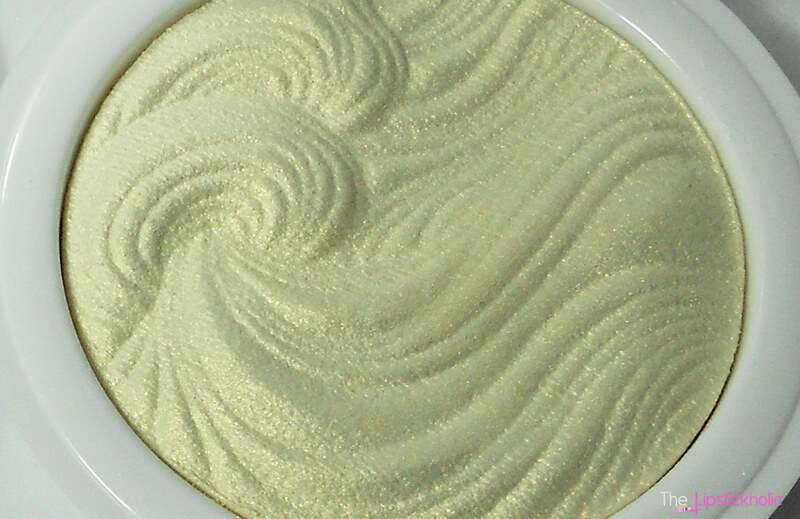 Whereas this MUA highlighter is a very light ivory/gold colored highlighter with some silver undertones. So it's definitely not comparable to the Mary-lou. 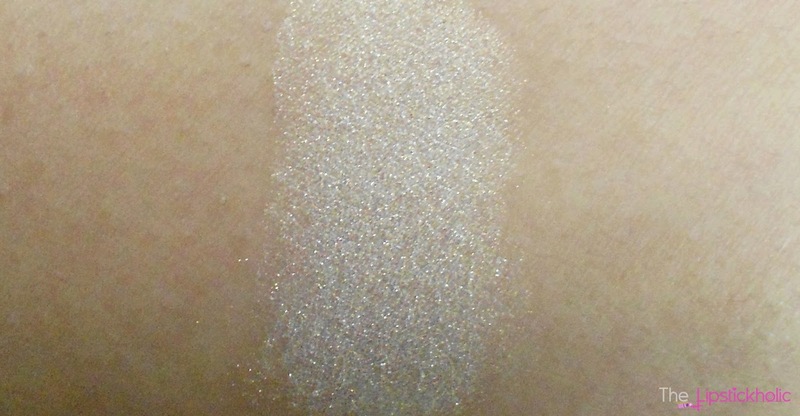 But yes, as per the swatches I have seen online, it looks like a perfect dupe for the NARS Albatross. Overall, I am in love with this highlighter. Considering the price, its a great drugstore highlighter. MUA once again has impressed me with this highlighter and I definitely recommend you to try it. Price & Availability: I got mine from Facebook Page Bells for PKR 700/- only. 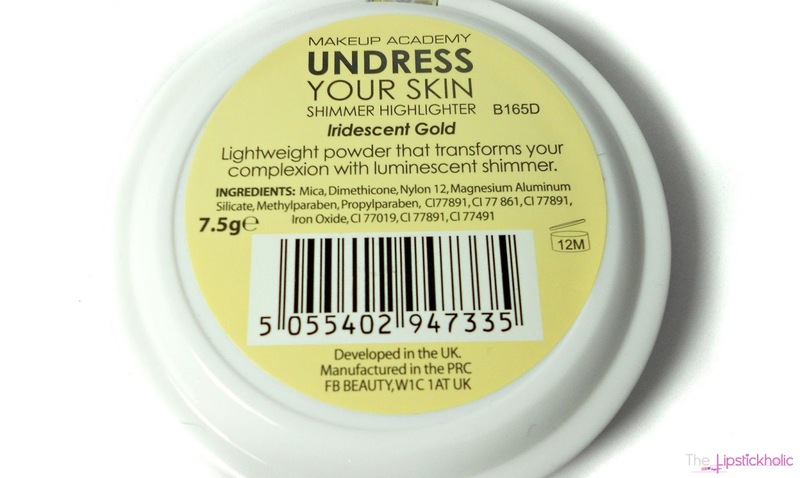 MUA undress your skin highlighter is available online at MUA's website for £3.00. In Pakistan you can order this highlighter through any Facebook Page. I love dupe products but now I don't use highlighters anymore but I used to like it. Thanks for the review, btw. U make me want it! But ill resist :p lovely swatches n thanks for comparing it with Mary-lou-manizer. Lovely review huda ..it loooks soooo gorgeous on you MashAllahb.... Can you compare the two MUA ones with each other ? Like the finish, the fall out and the texture please ? Thanks a lot Sherry.. Well actually, I wasn't using that pinky pearly MUA highlighter a lot coz of the color. So I sold it in my blog sale last month. I reviewed that highlighter separately last year in my early days of blogging though. The texture of both the highlighters is almost same, and they feel creamy and look silky when switched on finger or applied on face. Aaaaaaaaaa! Everyone has it and i want it toooo! Nice review sweety. Oh I'm so glad to see that they have a golden one! i habe the pink one and never use it because it's just not for me skin tone. I'll check this one out!! I love highlighters. My fave is a Nars highlighter. It has this golden color that just looks great with my skin town. Its liquid so it makes me also look dewy. Love it! Need to restock it! Great review! And it's not even expensive, might give it a try. Whoa stunning highlight! Totally need to get this. Am glad you liked the review :) Thanks for stopping by.